Remember my first ever build Bitx20? I never completed the build because I didn`t have enough knowledge about building a SSB transceiver. Now, a few years later, I decided to grab the only half completed Bitx and give it another try. Because I have build quite a lot of Bitx projects, my first project was not complete anymore. In the years, I borrowed some components for my other projects from this first build PCB. This is actualy the first design of the Bitx20. You can see that the mixer section where the VFO frequency comes together with the IF-frequency, consists of only one transformer. In all my other builds, I used two transformers. 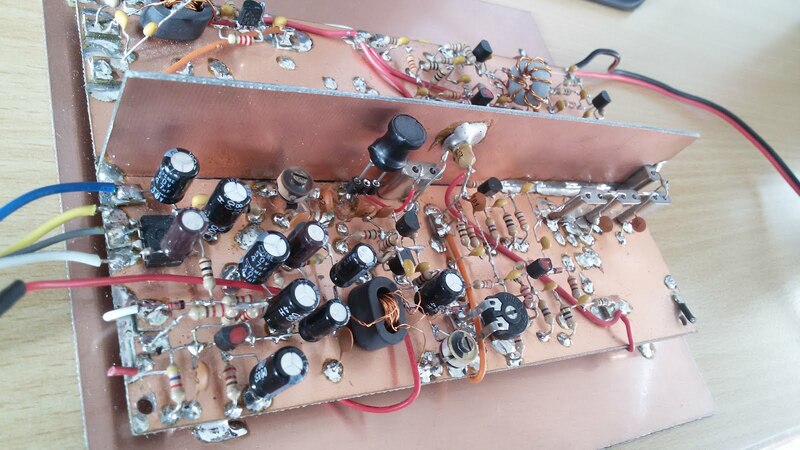 In this project I used the BF199 HF transistors instead of the 2N3904. On top of the board you see the power lines bar for +12V,cont. + 12Vsend and +12 V Receive. As you can see, the bandfilter is missing. Picture of the soon to be front panel and back-panel. 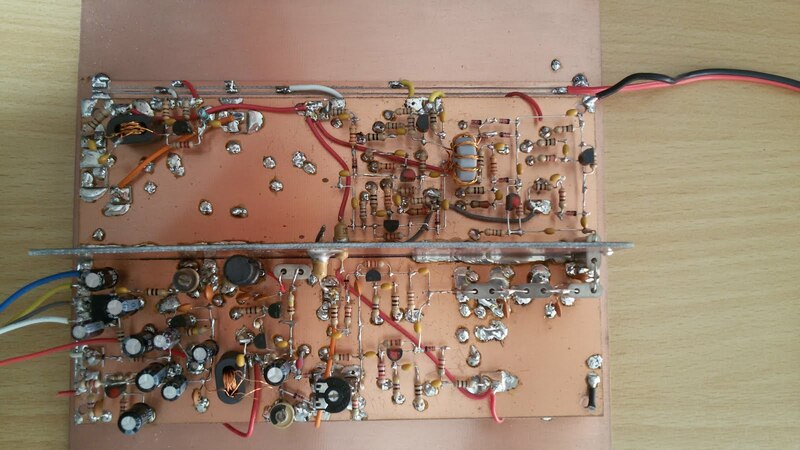 An old VU-meter for signal level and the very good Si-5351 VFO from SDR-kits. 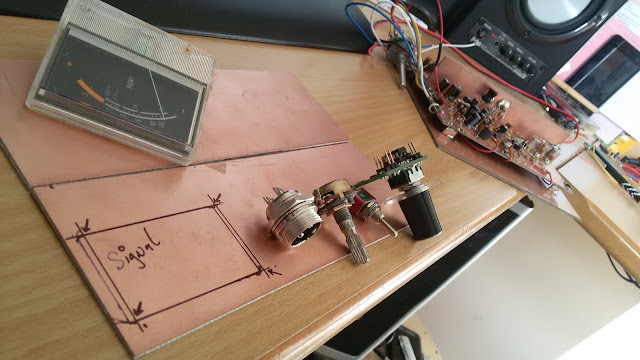 So still some work to do, but after 6 months of doing nothing with the hobby, it`s time to get the soldersmoke in the shack! Bitx 20 before I ripped it apart.